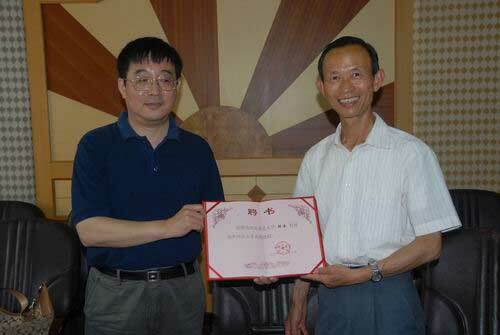 On June 9, 2010, Jinggangshan University held a ceremony to engage Professor Zou Zhen and Professor Wang Ling, who are in charge of Chinese teaching at the Department of Asian Language and Literature in University of Minnesota, as the part-time professors of JGSU. 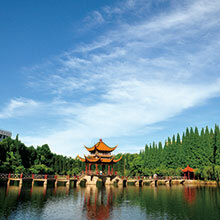 President Zhang Taicheng issued the letters of appointment to them. Vice-president Gui Guoqing presided at the ceremony. Present at the forum are Lv Yuhua, head of Party Committee Office / President’s Office and member of the CPC committee of JGSU, dean of the School of Foreign Language and leaders of relevant departments. 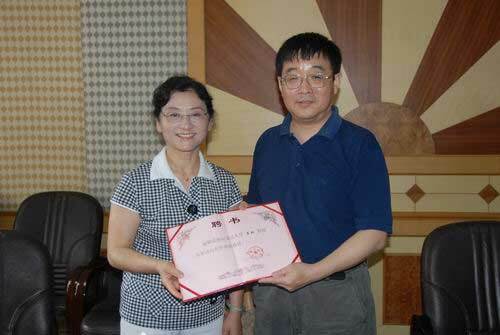 Professor Zou and Professor Wang thanked for being engaged as part-time professors by JGSU. They said that JGSU has gained great achievements in various respects, that they were willing to promote the exchange and cooperation between University of Minnesota and JGSU, accelerating the rapid development of JGSU.